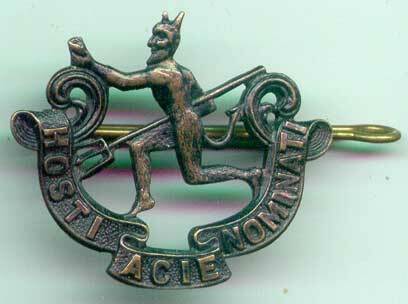 The 8th Battalion, Canadian Expeditionary Force was a unit raised for service in the First World War. The battalion was originally commanded by Lieutenant-Colonel L.J. Lipsett. 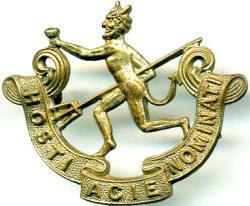 Service: Component of the 2nd Infantry Brigade, 1st Canadian Division in France and Flanders. The battalion embarked at Quebec on 1 October 1914 aboard S.S. Franconia, disembarking in England on 14 October 1914. Its strength was 47 officers and 1106 other ranks. The battalion disembarked in France on 13 February 1915, becoming part of the 1st Canadian Division, 2nd Canadian Infantry Brigade. The battalion returned to England on 23 March 1919, disembarked in Canada on 4 May 1919, was demobilized on 8 May1919, and was disbanded by General Order 149 of 15 September 1920. 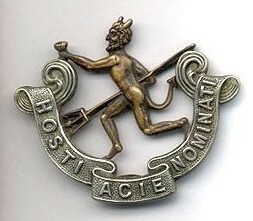 Stewart lists the battalion as being affiliated with the 90th, 144th, 190th and 203rd Battalions, and was eventually reinforced by the 18th Canadian Reserve Battalion. In mid-1916, cloth "battle-patches" were added to the sleeves of the Service Dress and greatcoat. The 1st Division was distinguished by a red rectangle, 3 inches wide by 2 inches tall, worn on each upper arm. The 8th Battalion was further distinguished by a red triangle worn above the rectangle, the red indicating the 2nd Brigade, and the triangle indicating the third senior battalion in the brigade. More information on formation patches can be found in the article on the organization of the division. Regiments and Corps, Ibid, and Stewart p.4. Stewart claims the battalion's nickname "Black Devils" was bestowed by the Germans, but the 90th Regiment had previously been known as "The Little Black Devils" after service against the Metis in 1885. Surviving copies may be found in the Borden papers (file OL 81), and at Library and Archives Canada (RG24, Vol. 20, 294, file 934.009).